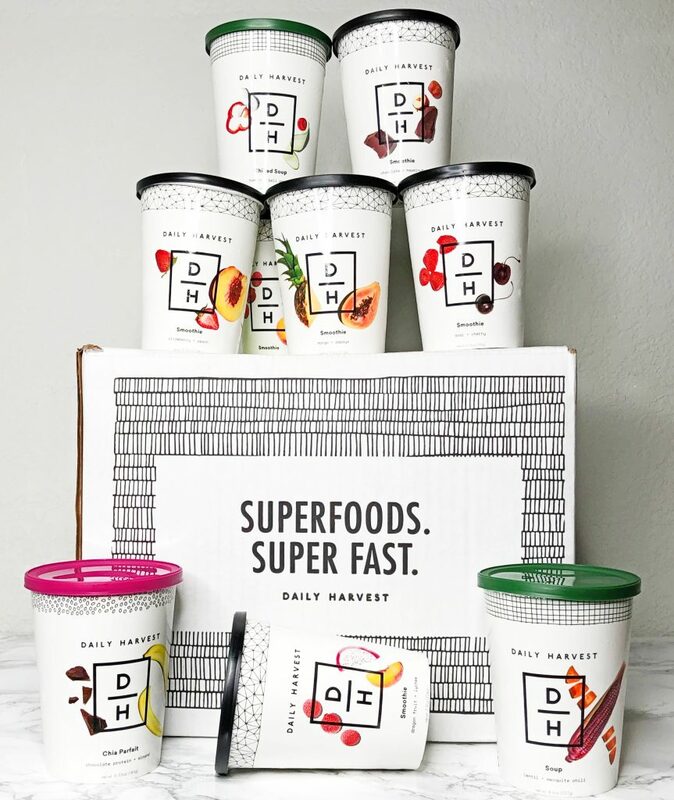 Ultimate Daily Harvest Reviews: A Must-Have For Smoothie Lovers? Interested in a smoothie subscription box? You might have heard of Daily Harvest and want to learn more. So, check out our Daily Harvest reviews before you purchase to see their selections, prices, coupons, and more! If you can handle more, check out our list of food subscription boxes to see more of the best choices (such as meal kits, snack boxes, and more) to pair with Daily Harvest. It can be difficult to incorporate healthy foods into our busy lives. I’ve tried a few meal kits, but these still take a bit of time, which I don’t always have. When I discovered smoothie subscription boxes, I couldn’t believe what I’d been missing! I looked up a few options and was impressed by Daily Harvest’s reviews, so I decided to try them out first. If you’re unfamiliar with this subscription, they ship frozen, single-serving smoothie cups right to your door every week or month. Their boxes are filled with dry ice to keep everything frozen throughout shipping. The smoothies are ready to be blended up and devoured—you just need to add your choice of fluid. No ice necessary! Plus, everything is plant-based to fit anybody’s diet. The first of my Daily Harvest reviews for 2019 introduces their various plans and smoothie options and shares any other delicious items they offer. I also include how to save money on your first subscription, as well as a review of my first box! 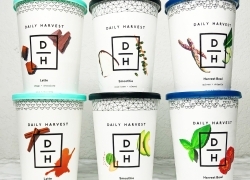 When I first heard about Daily Harvest, I couldn’t wait to check it out. My diet is plant-based, and I absolutely love smoothies. I try to prepare them at home, but it always seems like there’s some type of issue. The ice might be empty, some of the ingredients I need are gone, the ice melts too quickly and the smoothie tastes watery, the to-go cups mysteriously disappear, it makes too much, and so on. After looking up a few Daily Harvest reviews on Reddit and on their own website, I concluded that it would be the perfect solution to all of my smoothie issues! You don’t need any ice, their cups are portable, the ingredients are perfectly measured out, there are tons of delicious flavors, they’re healthy and provide much more nutrition than the typical homemade smoothie, plus more. Thankfully, I was able to view their options before creating a Daily Harvest login. This way, I could make sure they offered what I wanted before giving them my information (many other subscription services make you sign up before you can see what they offer). Here, I found that their numerous smoothies aren’t the only items to choose from—they have a selection of other foods they’ve recently added. These include soups, chia parfaits, harvest bowls, overnight oats, lattes, and cookie dough. Even with all these creations, everything is plant based—even their cookies are as healthy as you can get! Another thing I noticed is that there are numerous Daily Harvest reviews for all of the flavors and products on their website. It was great to see so much positive feedback from their customers, and these definitely made me feel more confident about my first order. These reviews also helped me choose between flavors. The only disappointment I had was when I found out that their cookie dough isn’t available with the regular subscription. However, it’s still a pretty reasonable price. It costs $48 for 36 cookies—close to $1 each! I’ve been guilty of spending way more than that on just one, plant-based cookie. Their flavors include coconut lemon, cacao nib, and chocolate chia (all of which sound amazing). Not only is Daily Harvest a great choice for convenient and yummy smoothies or other delicious eats, but they’re very healthy! They’re made of only whole foods, and many are made with superfoods. Plus, their smoothies are great for anyone’s dietary preferences because you add the milk (or another preferred liquid) at home! I love that all of the Daily Harvest recipes have some type of health benefit, which they share on each smoothie’s information page on the website. For example, it might be packed with protein, good for the immune system, anti-inflammatory, energizing, cleansing, good for workout recovery or stress, and so on. All of this will be shown on the information page! You can also find the calorie and nutrition information here. Daily Harvest also makes sure to include a short description of how the smoothie tastes (sweet, tropical, fruity, etc.). With all of these details, they go above and beyond to ensure you know what you’re getting! A common question about Daily Harvest is if their options are good for people trying to lose weight. If this interests you, you’ll be glad to hear that they have plenty of great, low-calorie selections that will help with weight loss! Each smoothie, bowl, soup, or other item has its nutritional facts and ingredients easily available online. They also have a low-calorie filter (as well as many other dietary choices) when searching for smoothies. That said, I saw a few negative Daily Harvest reviews about weight loss made by customers who didn’t pay enough attention to the items they chose. Not everything they offer is good for weight loss—there are a few options that are high in calories because they include foods like avocado or almond butter. Thankfully, the nutritional information is very straightforward on their website, as I mentioned above, so make sure to pay attention to this if weight loss is your goal! 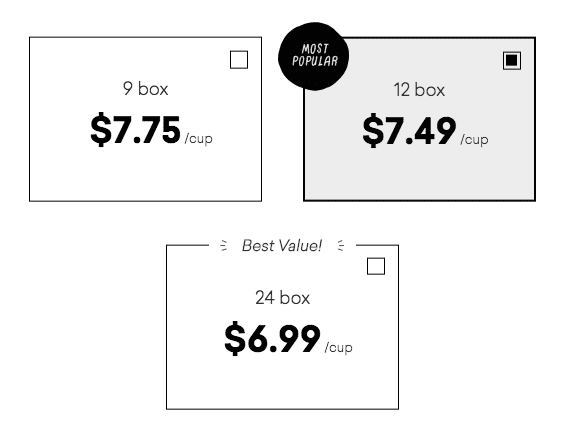 The pricing per cup depends on which plan you choose. They offer one monthly plan with 24 cups as well as a few weekly plans. The weekly plans are 24 cups, 12 cups, or 9 cups. They previously offered 6 cups when I signed up, but it looks like that plan is no longer is available. Also, you don’t have to receive these shipments every week, you can skip whenever you’d like. They also offer online cancellation to make it easy.